A flaky homemade pastry shell stuffed with a delicate combination of potatoes, green peas and cilantro leaves. Fresh spinach and homemade cheese simmered in spices and gravy. Marinated boneless chicken cooked in a rich creamy sauce. Naan bread with hint of garlic oil and fresh crushed garlic. Hema's USED to be our favorite place to get Indian food and we were pumped when they got on GrubHub. Unfortunately, we've been really disappointed by them. Firstly, we tend to order the same dishes every time (boring, sure) but they never taste the same, ever. Sometimes the food is excellent sometimes it's tasteless but there's no consistency. Secondly, the delivery has been terrible. Always, 20-30 minutes after the original estimated time, the delivery people can't seem to figure out the buzzer for our gate (this is the only restaurant with this problem), and when we call the restaurant they don't seem to know what we're talking about when we mention a delivery order from GrubHub. Tonight we ordered our food at 5:40pm, the estimated delivery time was 6:45pm, it is now 7:30pm and still nothing. This place is awesome. I was shocked that it only got 3 stars. It's by far our favorite Indian place to order from in Chicago. (and we've tried a lot of indian restaurants) The thing I like about Hema's is that all the ingredients taste fresh, reminds me of a home-cooked meal. 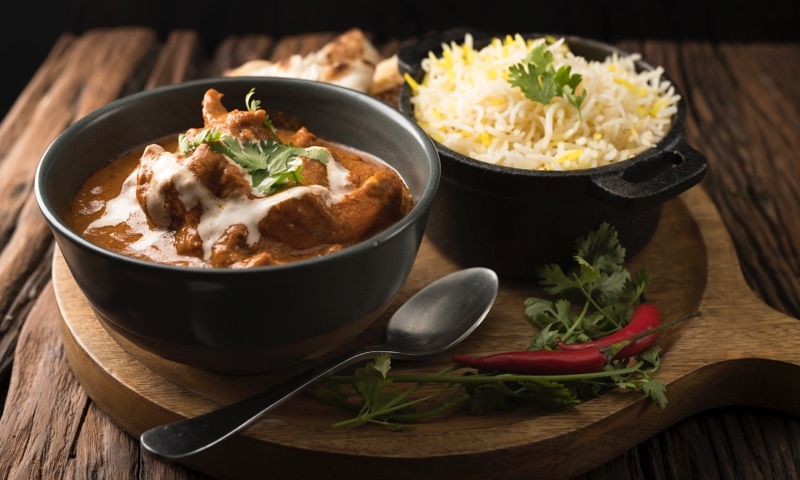 (I'm Indian) Favorite dishes from here are the chicken korma and if you can handle your spicy food, the chicken vindaloo is amazing. This place also has the best sag paneer, no contest. Best indian food in chicago! I cant believe I waited this long to try Hema's! It tastes like food you would get in india! Its even better than homemade, mom's cooking, and is super healthy. They use fresh ingredients, get the spice level according to your taste, and its not loaded with oil and heavy cream like other restaurants. You def gotta try palak chicken, egg curry, vegetable pakoras, phulka chicken wrap...yummo! I am always hesitant to order Indian as I lived in England (they know their Indian food) and spent an extensive amount of time in Malaysia (where there is a heavy Indian influence- the foods incredible), therefor often find myself disappointed. Hema's kitchen did not disappoint. Absolutely will be ordering again. Happy to have found them! Love Hemas kitchen, the first Indian cuisine restaurant I had in Chicago some 16 years ago and still the best. Food was on time and flavorful without being overly spicy. Best Samosas!!!! I only wish there was butter chicken on the Grubhub menu. Whether you're craving a quick bite or looking to treat yourself to a delicious meal, you can now order your Hema's Kitchen favorites for takeout or delivery.